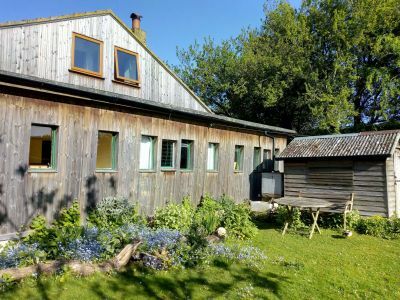 The Patch is a comfortable, informal holiday home sitting on the edge of a lake and a few minutes walk from a quiet beach. 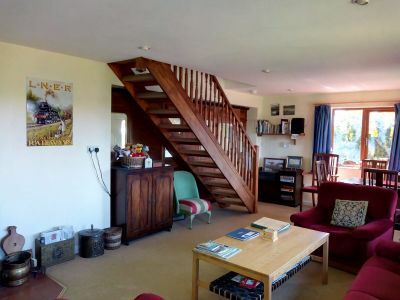 It has a large, private garden, and hidden inside is an original Victorian railway carriage! 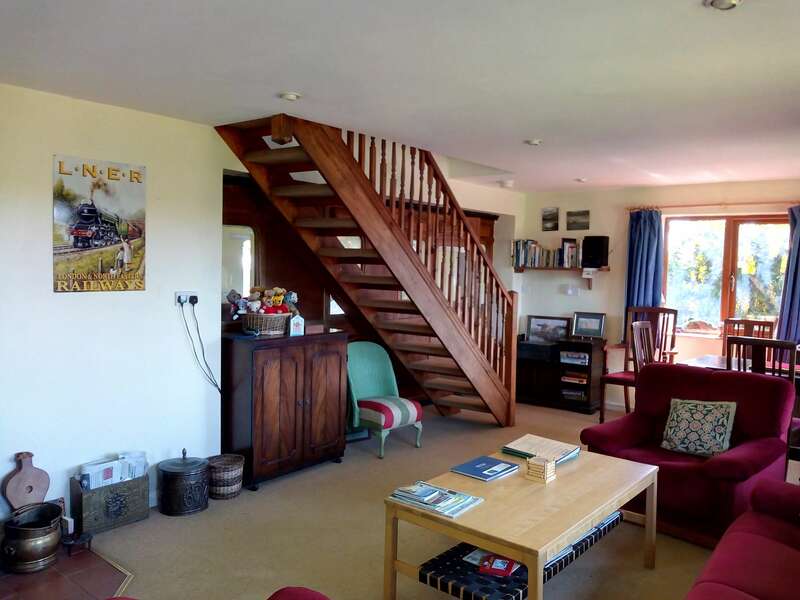 It sleeps up to 8 in four bedrooms, and is available all year. Anyone looking for a quiet place far from bright lights and traffic is likely to enjoy a stay at The Patch. 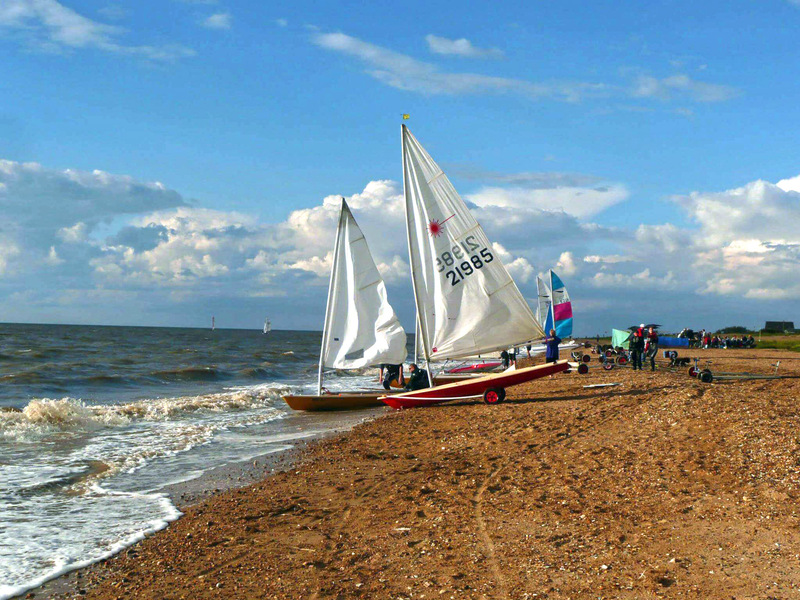 It’s on the coast between Kings Lynn and Hunstanton, well off the beaten track. A few minutes walk along rough footpaths takes you to the wild, undeveloped Snettisham Beach, and the internationally famous RSPB bird and wildlife reserve. With plenty of space both inside and out, The Patch is ideal for any number of people, from just one or two, to a gathering of family or friends for a holiday or a special occasion such as a birthday or anniversary party, or Christmas and New Year. We offer free WiFi, a big woodburner, a washing machine, bicycles, a barbecue, and many other things to help make your holiday special. There is plenty of safe space for children (and dogs) to run and play, and experience a wild, natural environment unlike anywhere that most children (or adults, come to that!) are familiar with. Further afield there are many places of interest and beauty within a few miles – read further for more details and photographs. The original ‘building’ on this site was a Victorian railway carriage! We believe it was put in place in about 1930, and is still at the heart of the house as it is today. You can catch sight of it in several of the photographs on the website. Super time! A really wonderful venue for David’s big 4-0! The Patch had everything we could possibly want, brilliant place for a BBQ and fun times. Thank you very much! Lovely holiday retreat, great location, great wildlife especially the resident duck family, we were blessed with lovely sunny weather. Hope to return soon! It was our first time in this region and we enjoyed our stay. Nice breakfasts in the garden, good weather, beautiful walks on the beach, nice cycling in the fields. We love these little villages and we liked the steam train. Jill and Tim thanks for you hospitality and warm welcome! A brilliant place to spend Christmas with the family.